At the turn of this decade, the lupulin drenched proceedings that were to come were but whispers between a small group of drinkers. For the most part, the most exciting development of the early 2000s was the rise of an easy-drinking ale with a lighter hue – the golden ale. Indeed, this may well have been the style of beer that launched many now craftier drinkers towards more adventurous realms. 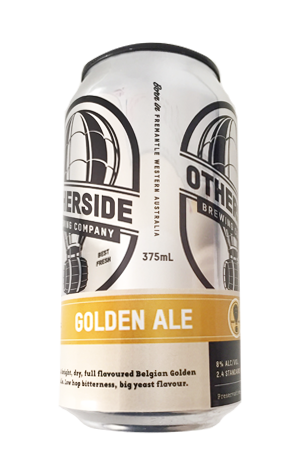 This Experimental Series release from Otherside, however, is not that beer. It is rather a Belgian strong golden ale, deceptively named just Golden Ale, a style that's also known as the Golden Devil. The pale golden beer displays estery aromas of yeast, banana and some spice. The clean, wheat malt length is caressed by a slight carbonation, which has the effect of creating more perceived weight than some examples, while a devilish alcohol warmth increases through the beer's dry coda.